The significance of the Lowrider to Hip Hop is as important as a beat is to a producer – the two inexplicably link together and create the basis of movement and music. As a vehicle, its history is one built on pride and honour, representing its post war Mexican –American foundation to the fullest. 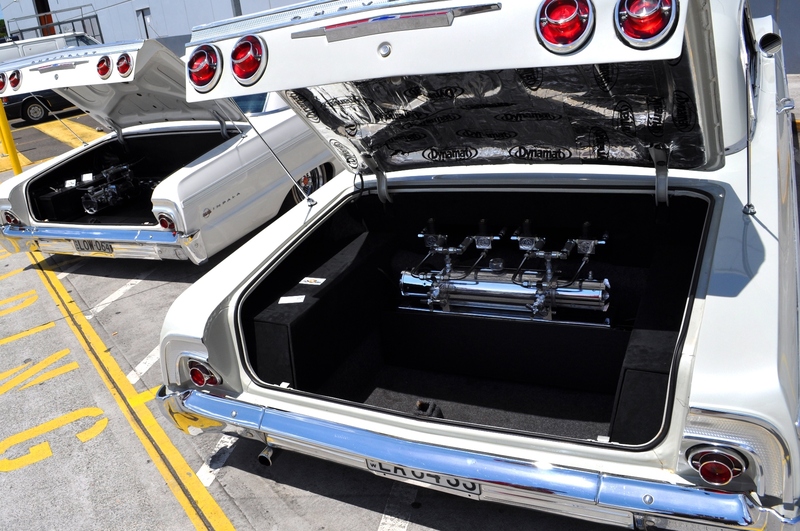 From its sleek exterior body encompassing all of the retro 50’s era to the grunt and suspension beneath its hood wherein lies the magic of the Lowrider – it is not just a car but a culture. Bringing the focus down to Australia and where we fit in within this culture, all eyes fall on Loyalty IV Life! 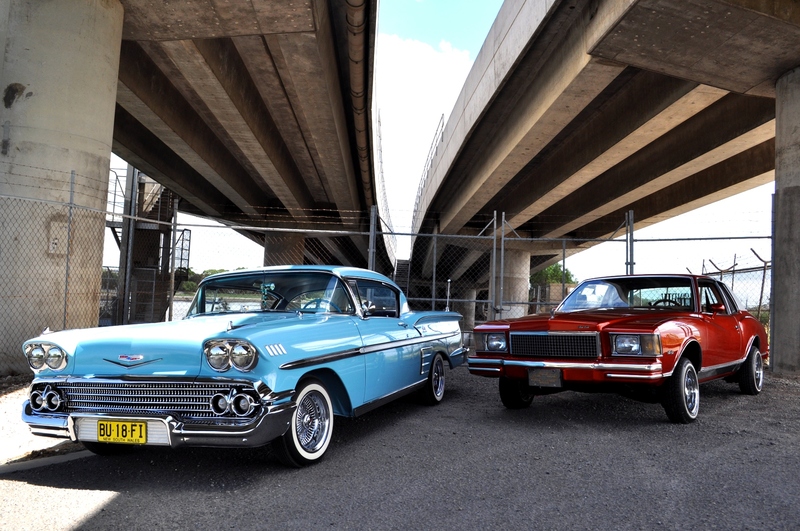 A Sydney based car club with growing national members that bears its name and allegiance to the history of the Lowrider and those that drive it. Speaking to Paul Tolley, one of the clubs founders shines a light on this moving work of automobile art and its place in Australia’s urban culture. 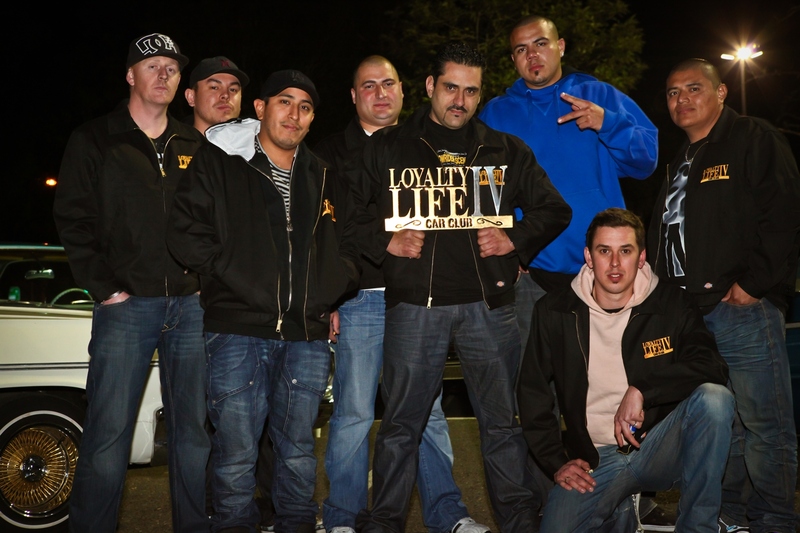 With members bringing their beloved Chevy Impalas, Pontiac Grand Prix & Buick Regals into the fray, Loyalty IV Life provide exclusivity and renowned knowledge of the Lowrider in a club built on loyalty and respect. California is its birthplace, West Coast Hip Hop its anthem and authenticity its badge of honour …..The Lowrider is to be enjoyed and admired “Bajito y Suavecito” – Low and Slow! Please explain how this car club started in Australia? Myself and an old friend decided it was time to start a Lowrider car club back in 2007. We had both been members of another club prior to this for some time but felt the club did not suit us so we left and cruise solo for a few years. We had no interest in starting a chapter from a USA based Lowrider club at all. After making the decision it took some time to find the right name that really represented what we were about. After the name, the next step was designing the logo for the shirts and plaques. Everything was kept hush hush until they were ready. In July 2008 the plaques were mounted up in the back windows of the cars and the shirts proudly worn. 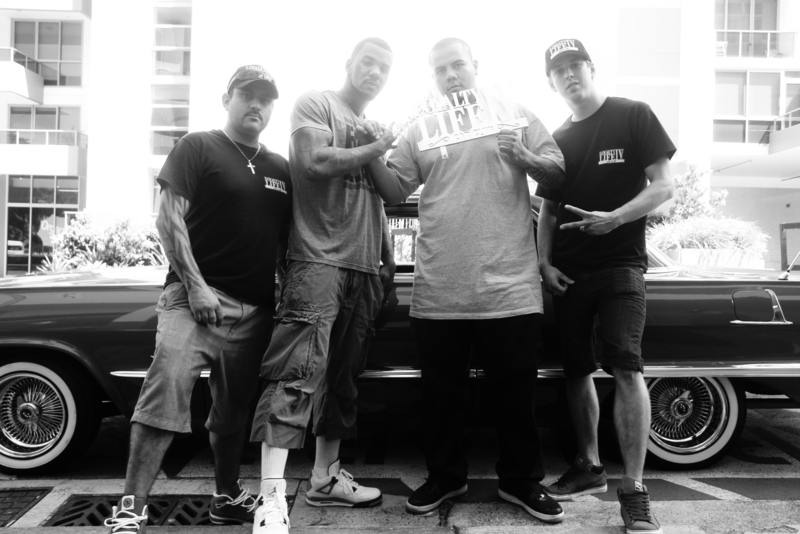 This was when we presented ourselves to the Australian Lowrider scene. We were four members strong and keen to cruise the streets of Sydney. It has been five years now and this club has grown and evolved more than I could have ever imagined. We now have 14 members based in Sydney, 4 members in Melbourne, 1 member in Brisbane and 3 members in New Zealand. Why Low-riders? What is it about this vintage car that appeals to so many? To me they are not just a car they are an artwork that is being pushed to the limits. The amount of time and money dedicated to building these cars cannot be understood by anyone unless they have been through it. The modifications we do to these cars are sometimes frowned upon or not understood by people in other car scenes. That’s what I love about it. The custom paint, wheels, adjustable suspension, custom interior and sound systems are just some of the ways you can express who you are through your car. You can’t describe the feeling when you’re rolling down the highway with 10 lowriders blocking up the lanes, wives and kids by your side driving low and slow. What is the meaning behind the name of the club – Loyalty IV Life? I’m a big believer in staying loyal to those who are to you. This is what our club is about. Everyone in the club has devoted themselves to making this one big family and it shows every time we get together. 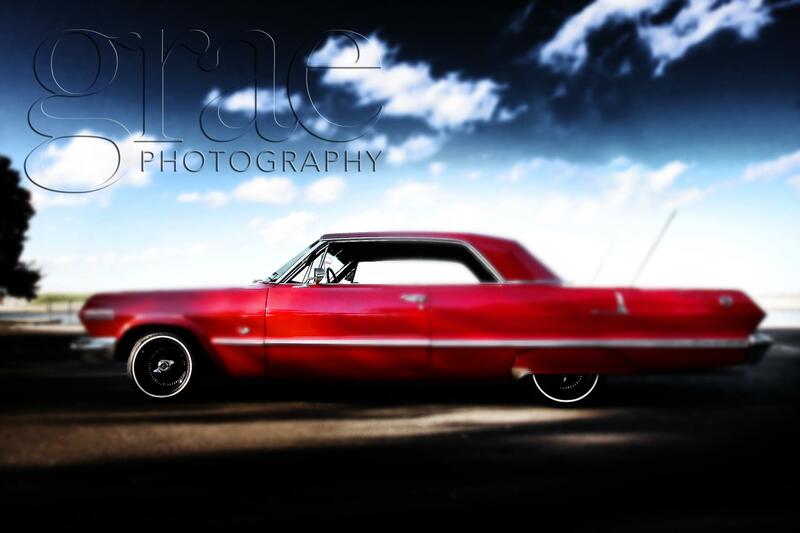 Cars and Hip Hop go hand in hand and the Lowrider is a true leader in Hip Hop’s glorification of the automobile. When you are cruising in or tuning up your Lowrider what Hip Hop tracks do you play, if any, that brings to light the true essence of this car? A text book answer would be Snoop, 2pac, Eazy E and Ice Cube. For me personally I do listen to all of these but I also like to hear a track that give me the same buzz I get when I’m sitting behind the wheel cruising. Can never go past Dr Dre to do this or Biggie. It’s these 2 guys that are my ultimate cruising music. Your car club is involved in a very exciting photographic exhibition called “Graephotography Low N Slow Exhibition” at the National Grid Gallery on the 20th April – what are your hopes for this exhibition in the attention it will no doubt bring to your club and your beautiful cars? I hope that Gordon feels that all his time and effort put into this project was all worth it. With his amazing talent and style of photography it’s hard for this not to be a success. What better to way compliment the Grae Photography Exhibition than with cars on display and some of Sydney’s hottest Hip Hop Dj’s and artists performing on the night! They are creating an amazing experience for those who are attending. How does a person become a member of your car club? Must they have their own Lowrider or have an understanding of the vehicle and its history or is the club a place for anyone with a genuine interest in the Lowrider community to learn and become a member? How would you best describe the Lowrider community in Australia? Supportive yet competitive. The scene is small overall compared to all the other car scenes in Australia but due to social media sites the majority of people in the scene are in contact with each other. It is good as it allows you to see photos of the cars being built and cruising all over Oz. With the increase in cars being built or imported from the USA plus the increase in car clubs there has definitely been a step up in competition in the past few years. The scene and its followers are evolving which is good to see. What is next for Loyaltyivlife Car Club? As a club the past 12 months have been pretty full on. The project with Gordon Rae, plus heavy involvement with several clothing labels and music artists have not allowed us to enjoy as much cruising time with the families together as we would have liked. Now our priority is to get the cars out with the families and get back to the basics that made this club so successful. ← Mike Champion – King of Smooth!